“For nearly a decade it was my dream to go to INSEAD and have an international career,” recalls Manuel Serzedelo de Almeida. But after three and a half long years of military service he settled for a job in Lisbon, where he lived with his wife and two small children. Through careful investment, he amassed a sizeable portfolio of shares and, although Portugal remained a dictatorship with a relatively closed economy, the family seemed destined for a comfortable existence in their home country. “Yet in those days, we weren’t really living in a free country,” says Manuel. And his international ambitions were still burning. At the age of nearly 30, he finally submitted an application to the business school in France that he’d long dreamed of. 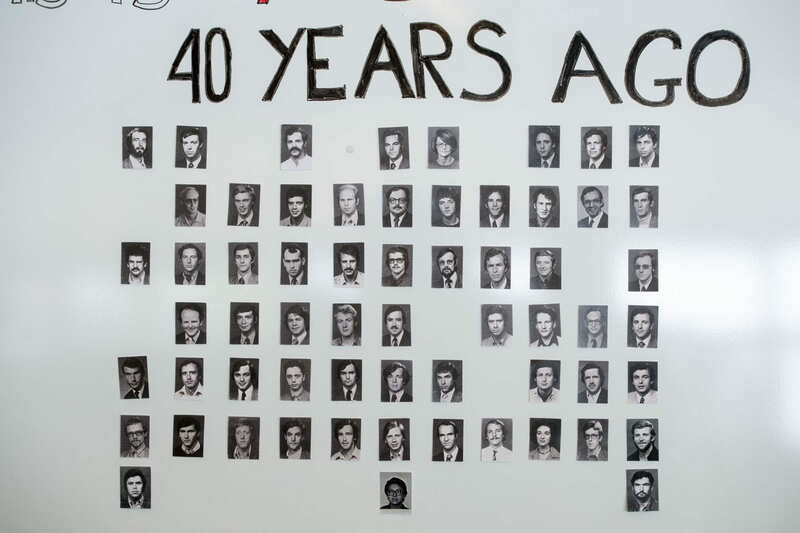 Then came the revolution – only three weeks after his INSEAD interview. “It’s just history today,” reflects Manuel. “But you can’t imagine the profound crisis that Portugal went through in the months that followed. It almost became a communist country.” The economy collapsed and the companies in which Manuel had invested were nationalised. Had he kept them, his shares would have been worth nothing. Sold in the nick of time, however, they paid for his MBA and set the course for an extraordinary international future for an entire family. After a golden year of friendship and discovery in Fontainebleau, Manuel and his wife decided to remain in France, where – thanks to INSEAD – he had a great offer from a large utility company. They soon transferred to Madrid before returning to Paris, now with three children. Ten years after leaving for INSEAD, the family was finally tempted home again – on a package provided by a Swiss company. International businesses were investing in Portugal again, the economy was looking up and Manuel was keen to use his MBA to contribute. Fast forward to the turn of the millennium and the baby boy who had accompanied Manuel to Fontainebleau, now a successful London banker, was about to become an MBA student. Thanks to his father’s decision to attend INSEAD, he had developed a profile that made him a prime candidate for the world’s most international business school. More than that, he had fond memories of childhood visits to Fontainebleau and his father’s stories about INSEAD. “My parents always spoke of it as the place where they were happy and young,” he recalls. This was a very different INSEAD from the one he had ‘attended’ as a baby, however. The school had doubled in size and was about to open a campus in Asia. By the time, Manuel attended his 25-year reunion, his son was about to graduate from an institution that was global rather than European. These were very different times too. “The NASDAQ had reached its peak and there were a ridiculous number of job offers that year,” says Filipe. Unsurprisingly, he went back into banking on graduation, but used his MBA to make the geographical shift to Lisbon. What’s more, the Serzedelo de Almeidas had become a very different family. 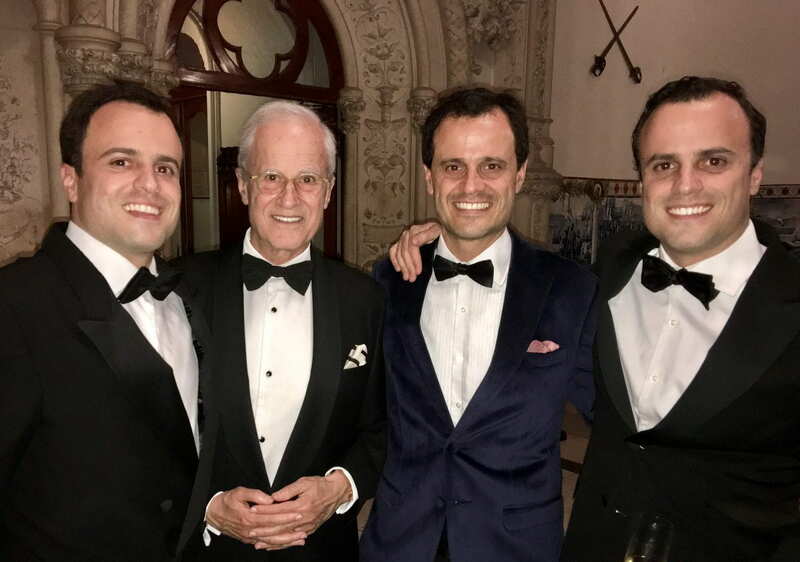 Not only had the three original children grown up and embarked on international careers; two more had been born in Portugal – twin boys aged just 13 when Filipe graduated from INSEAD. “It never occurred to me that my little brothers would go to INSEAD too!” says Filipe. And indeed, as the twins grew older, Filipe’s hunch seemed correct. The twins’ career paths diverged. Eduardo followed his older sister into law and moved to Brazil, while Luis ploughed a technical furrow in engineering. His assumption proved right. Like his father before him, he remembers INSEAD as a golden age of family memories. “I actually had time to play with my toddler,” he recalls wistfully. By the time he graduated, he had a second child – and a brother at INSEAD. Even though Eduardo started six months after Luis and chose to spend the first part of the programme in Singapore, they were constantly mistaken for one another. “My friends also assumed he was a lawyer!” laughs Eduardo, who – like his brother – left INSEAD with a new baby. Today, the twins are back in Portugal working in the property sector – the engineer in finance and the lawyer in sales (alongside legal affairs), two more Serzedelo de Almeida career changes enabled by the “INSEAD brand”, as Luis puts it. The family gets together several times a month. INSEAD often comes up in the conversation and has helped to make an already close family even closer. For Manuel the emotional connection with his classmates has only grown stronger over time. “Now that many of us are retired we have more time to meet up,” he explains. But most of all, he feels a profound sense of gratitude to INSEAD for its impact on his family. Although he has contributed regularly to reunion giving, he has just made his first significant individual donation to the school.